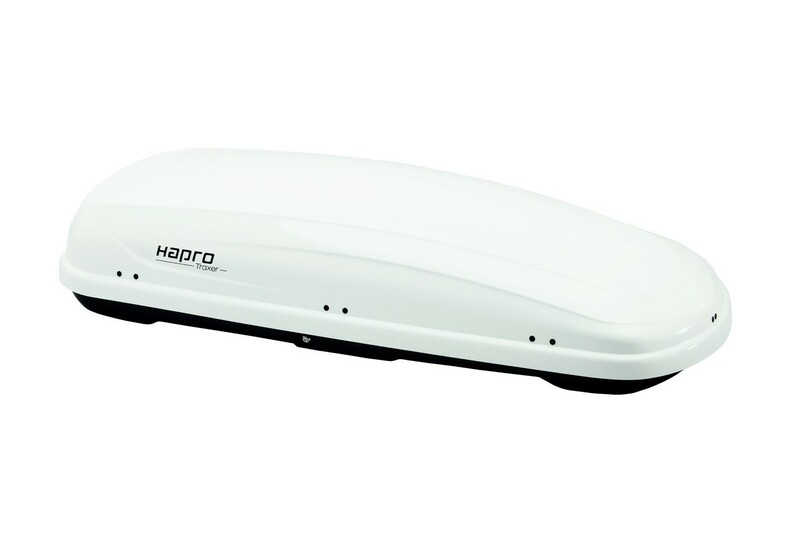 The Hapro Traxer is a spacious and beautifully designed roof box designed for adventurous trips with the whole family. Robust, highly reliable, stylish and surprisingly large. The Traxer has everything you would expect from a comfortable travel partner. The Traxer models are available in five different sizes, ranging from 320 to 530 litres, and in various colours. The Hapro Traxer is TÜV and ISO 11154 certified, which means that the roof box meets the strictest quality and safety demands. The Traxer roof box comes with a 5 years warranty. The Traxer roof box is attached to the roof rack with the patented Premium Fit system. Mounting and removing the roof box is done quickly and easily with a rotating knob, which deploys special clamps around the crossbars. Each Premium Fit clamp centers itself on the crossbars and can therefore adapt itself to any crossbar with a maximum width of 95 mm. All Traxer roof boxes can be opened at both sides. The dual function of the dynamic buckling springs make the loading and unloading the roof box very simple: the buckling springs have a supportive effect when opening the lid and keep it firmly in the opened position thereafter. When closing the lid, the buckling springs pull it towards the bottom, thus ensuring a perfect sealing. The exclusive 3-point central locking system locks the Traxer roof box securely and tightly in one movement at three places. As an additional safety measure the key can only be removed if the roof box is locked in the correct manner.